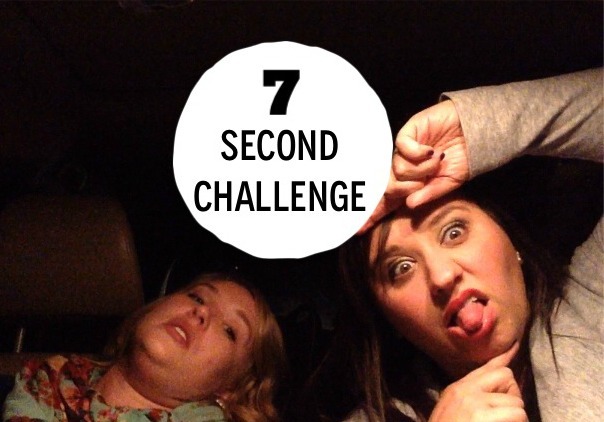 Something we have seen all around You Tube is the 7 second challenge. They are all hilarious and awkward and awesome. And really there is nothing better than putting people on the spot and making them look crazy. Well when it’s in the name of fun of course. Things to know after watching….. 2.) Channing is much smarter than she appears in the challenge – She knows the difference between a city and a country. She just doesn’t know her Jimmy’s. Geez. 3.) You Tube is not national TV. I know that. That’s all we’ve got for you lovelies today. Hope our shenanigans made your Monday a bit brighter.